A self-proclaimed music junky, Jay Rosenthal lives and breathes the industry he serves. Jay’s mother was a singer during the 1940s and 1950s crooner era, so music was undoubtedly in his blood from the beginning. Driven by his roots and following in his mother’s footsteps, Jay decided to pursue a career in music -- jamming to blues and jazz piano. In his early days of concert promotion at American University, Jay realized the impact law had on performing, recording, and publishing music. Combining his passion for music and his desire to empower the authors that created it, Jay shifted gears and began his journey as a music lawyer. When he landed his first job out of law school as a copyright examiner at the United States Copyright Office (USCO), he came with a unique skill in being able to actually read sheet music -- the very items he had to examine. Jay marveled at the significant role the USCO played in protecting authorship, particularly when reviewing and registering a memorable piece titled “Jesus And My Dog.” At that moment, he realized that his passion for law and his passion for music intersected in a paradoxical way. He developed a philosophical view that the government should not be allowed to qualitatively determine “good” or “bad” art -- a concept that laid the foundation for his successful career. Jay continues to fight the “commodification of copyright” and empower his author-clients (actors, musicians, labels, and movie companies). From his work at the National Music Publishers’ Association to his efforts at the Recording Artists’ Coalition, Jay has leveraged his background as an artist to achieve milestones in the law. While Jay gave up professionally performing and song writing a long time ago, you can still find him sitting at the piano at the end of a long day. It not only soothes his soul but serves as a constant reminder about importance of his work in championing the freedom of creation and the professional class of artists behind it. 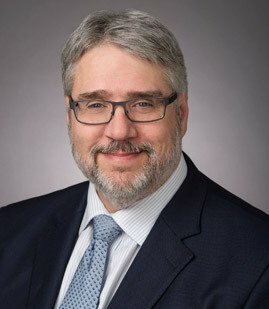 Jay Rosenthal is a partner in the MSK Washington, D.C. and Los Angeles offices, and a member of the firm's Motion Picture, Television, and Music Transactions Practice Group. He primarily focuses on providing services for clients throughout the entertainment and copyright industries including representation of talent, production companies, and trade associations, on all public policy, transactional, and litigation matters, with special emphasis on the movie and music industries. Jay has extensive experience representing entertainment industry clients before Congress, the Copyright Office and the U.S. Patent & Trademark Organization. Jay also represents and files Hart-Scott-Rodino Antitrust submissions on behalf of corporate clients with the Department of Justice and Federal Trade Commission. Jay recently closed and assisted clients in closing transactions with numerous top line and independent movie production companies. His clients include or have included actor Dave Bautista, the National Music Publishers’ Association, Bob Segar, Salt-N-Pepa, Herby Azor (Herby Luv Bug), Don Henley, Mya, Mary Chapin Carpenter, Sweet Honey in the Rock, Emoticast, Tresona Multimedia, Thievery Corporation, ESL Music, Mya, Comedian Robert Schimmel, and monument maker Robert Berks. Prior to joining MSK, Jay served as Senior Vice-President and General Counsel at the National Music Publishers’ Association (NMPA). In that role, Mr. Rosenthal represented the interests of, and worked extensively with, almost all of the major and independent music publishers in the United States. Most significantly, and in addition to the standard responsibilities of, general counsels, Mr. Rosenthal worked extensively on developing and implementing the NMPA Late Fee and Modernization Programs; worked with stakeholders like the Recording Industry Association of American, and other domestic and international stakeholders and organizations, on national and international anti-piracy matters, and counseled NMPA on copyright policy and reform in Washington, D.C. Prior to joining NMPA, Mr. Rosenthal was a partner with the law firm of Berliner, Corcoran & Rowe, and served as General Counsel to the Recording Artists' Coalition (RAC), founded by Don Henley, Sheryl Crow, and other prominent featured recording artists. Jay is a former Copyright Examiner with the U.S. Copyright Office. Jay lectures extensively around the world on entertainment and copyright law matters, and has worked in the past as an expert witness in copyright and music related litigation matters. Jay has authored numerous articles on entertainment and copyright law. He is a Contributing Editor with Entertainment, Law & Finance, and a periodic contributor to Billboard, Landslide, and other entertainment industry journals and publications.